There is a variety of treatment options for hammertoe. 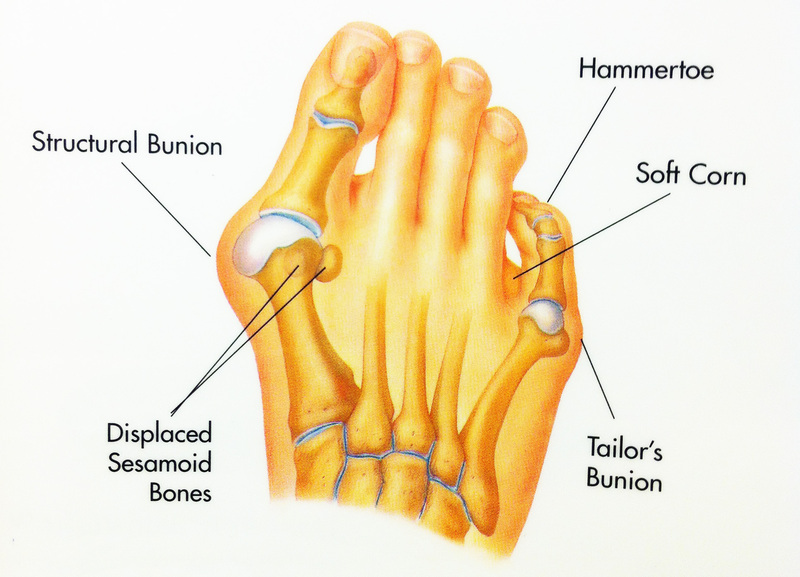 The treatment your foot and ankle surgeon selects will depend upon the severity of your hammertoe and other factors. A number of non-surgical measures can be undertaken. Padding corns and calluses. Your foot and ankle surgeon can provide or prescribe pads designed to shield corns from irritation. If you want to try over-the-counter pads, avoid the medicated types. Medicated pads are generally not recommended because they may contain a small amount of acid that can be harmful. Consult your surgeon hammertoe about this option. Changes in shoewear. Avoid shoes with pointed toes, shoes that are too short, or shoes with high heels, conditions that can force your toe against the front of the shoe. Instead, choose comfortable shoes with a deep, roomy toe box and heels no higher than two inches. Orthotic devices. A custom orthotic device placed in your shoe may help control the muscle/tendon imbalance. Injection therapy. Corticosteroid injections are sometimes used to ease pain and inflammation caused by hammertoe. Medications. Oral nonsteroidal anti-inflammatory drugs (NSAIDs), such as ibuprofen, may be recommended to reduce pain and inflammation. Splinting/strapping. Splints or small straps may be applied by the surgeon to realign the bent toe.